Camera announcements timed for CP+ show in February? 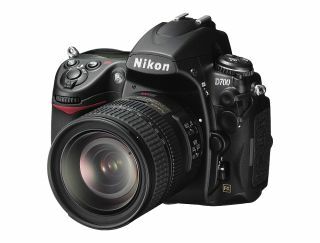 Will we see a replacement for the D700 at the CP+ show this February in Japan? Could it be that the Japanese manufacturers are keen to give their local photographic show, the Camera and Photo Imaging Show (known as CP+), a boost by holding back some key launches until it opens its doors on 9th February? After all, who could blame them for wanting to give their country a fillip after such a traumatic year? As usual most of the manufacturers are refusing to be drawn on the likely date of any SLR launches, but the jungle drums at CES suggest that February could see some exciting products unveiled. There have been rumours that Nikon had to postpone the launch of an SLR because of the floods in Thailand, yet the recently announced Nikon D4 is known to be manufactured in Japan. If these rumours are true it means that Nikon has an SLR near to completion and the CP+ show that runs from 9th to 12th of February could be the ideal launch pad. It may not be a coincidence then that Nikon Rumours is suggesting that there will be a launch from Nikon on 7th February. CP+ is a photographic show similar to Focus on Imaging in the UK and is aimed at both enthusiast photographers and the trade. In the past it hasn't really registered on the radar far outside of Japan, but perhaps this year will be different? Rest assured that we will be covering the news as and when it comes.